Brass Construction is a funk band from Brooklyn, New York that was formed in 1968 under the tutelage of musician/arranger Randy Muller. They were originally called Dynamic Soul but by the time of their deal with United Artists in 1975 they became Brass Construction. 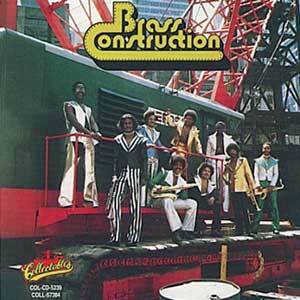 “Movin'” is from their 1975 debut album Brass Construction I. This album is always credited as being a turning point in dance music because it brought some respectability to disco, even though it transcended it, because of its wide appeal and masculine grooves. “Changin” also came from this first project that made itself known on the R&B charts and raised Muller’s profile. The band had a string of albums through the ’80’s with songs like “Happy People,” “Ha Cha Cha (Funktion),” “L-O-V-E-U” and “Attitude” giving them permanent inclusion on countless dancefloors. Randy Muller had even more success as a writer and producer for Skyy and the string arranger for B.T.Express. The band still tours and last released an album in 2006.